Protection Shoot – each Wednesday @ 7PM – Bring your best game!! Fun Trap Shoot – Sunday & Thursday – Check the calendar No scoring – just fun. Call it practice!! Bring your shotgun, shotshells, and $5 for 25 clay targets. Members and the public are welcome to participate. New Membership Packets can be found on the Membership Page!!! Check out the Camp Perry Club Benefits. All you have to do is show your FCL Membership Card! Many of Fitchville Conservation League’s “Introduction to: events are provided in part by the Wildlife and Sport fish Restoration Programs, that are administered by the U.S. Fish & Wildlife Service and the Ohio Department of Natural Resources, Division of Wildlife. Contact information for ODNR Watercraft and Wildlife Officers for Huron County! Contact information for ODNR Wildlife Officers for the State of Ohio! Don’t know how to become a member of FCL? Check our Membership Page! Need a Membership Sponsor? Use the Information request form below!! Stop by our Sunday or Thursday Nite Shoots, check us out and don’t forget to introduce yourself!!! 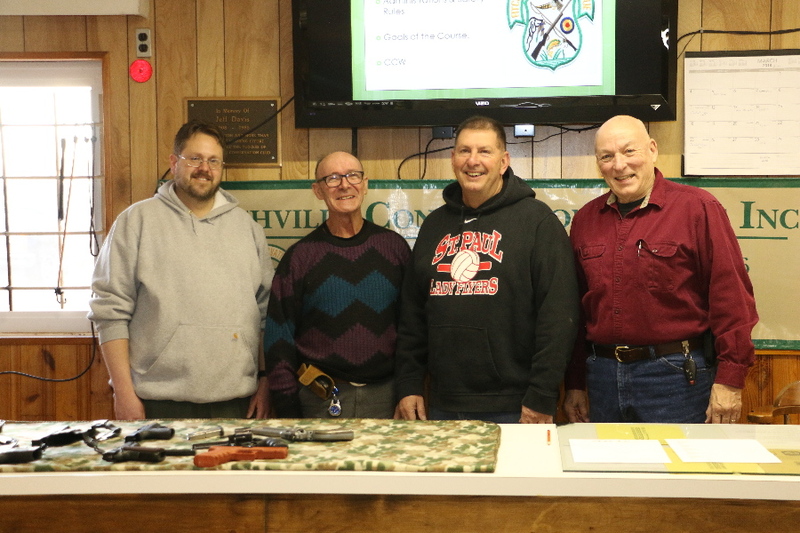 The Fitchville Conservation League provides a venue for members and local citizens to express their views and suggestions on how to better use our local natural resources. We are proud our programs reflect that spirit. To initiate programs such as Ohio’s Hunter Education Courses and Archery in the Schools. To provide manpower and facilities to promote shooter education in several disciplines, including archery, shotgun sports, pistol, rifle, and muzzleloader for both children and adults. To sponsor events for all to practice and enjoy both nature and shooting sports, all while continuing to promote and defend the wise use of our natural resources. Membership dues are $50 per year. New members are required to pay a $50 Initiation Fee plus the $50 membership fee. You must have a member in good standing sponsor your membership request. We would be honored if you would join us. Our meetings are held the second Tuesday of each Quarter. See Calendar for exact dates.